Why Go to HDMI Cable for Your Entertainment? With the evolution of high definition video and audio, we all keep hearing more about the term HDMI. HDMI, or high definition multimedia interface, is an all-in-one digital connector. A HDMI cable combines digital audio and video signals into one high-powered cable to provide the best multimedia experience possible on the consumer market. HDMI was first released in 2003, but didn’t gain popularity until a couple years ago. In the past, a multimedia setup required several analog wires, each providing a separate channel between devices. For example, the left and right audio channels each had their own wire. Then, a third cable would be added for the video signal. In some cases, other peripheral wires were necessary for more advanced analog setups. With HDMI, all of these channels have been combined into one easy wire. In addition, older methods were all analog signals, while HDMI is purely digital. Digital signals can pass more information and, in the end, this creates better picture and sound quality. By providing an easier solution and higher quality, HDMI cabling has quickly risen to become the standard for many home theater and multimedia applications. Why should you consider upgrading to devices using HDMI? For one, the format doesn’t compress or compromise your signals. You’ll receive the highest quality audio and video your device has to offer. Video will look sharper and more defined. Audio will sound more crisp and balanced. In addition, HDMI is built into so many devices today, including some smartphones. Your digital experience can begin with your phone, on which you’ll have the same quality on your display or speakers as from any other device. It provides maximum flexibility and portability for your multimedia experience, whether at home or on the go. 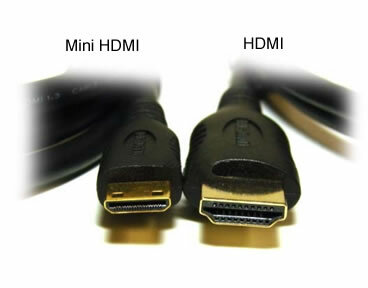 There are some competitors for HDMI, such as DVI (Digital Video Interface) cables. These cables were originally intended for connecting a personal computer to a digital monitor. There are similar features to both, but the DVI cable has connection pins which must be screwed into each device and have more potential to break than a HDMI cable. More importantly, there are no audio signals sent through a DVI cable, so HDMI really comes out on top of any comparison. If you go shopping for a new television or computer, you’ll most likely see HDMI offered as a feature. Now you know what the acronyms mean and can be a more informed shopper.